The most sought after Riviera model needs no spruiking. This extremely well maintained Riviera 40' powered by twin Cummins 470HP is one to leap at. Offering 2 double beds and 3 singles the Riv 40 would have to be close to being the Western Australian favourite. Poke into all the bays at Rottnest Island, Carnac Island and even Herring Bay, Garden Island. 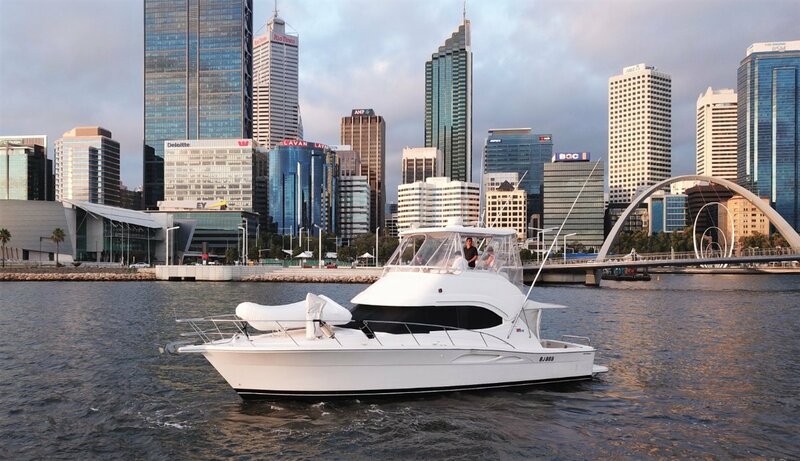 With registered length of only 11.99m the Riv 40 fits into a 12m pen at most yacht clubs, opening a world of opportunities. Overall, this vessel presents exceptionally well following a strict regime for maintenance and upkeep. Mechanically, the Cummins are in A1 condition with recent service to the cooling system. Always professionally serviced with records available. The vessel presents well aesthetically with teak laid decking in cockpit, near new clears upstairs, new LED lights to saloon, new fridge to galley and more.